Don’t make the same errors that many first time property purchasers do in Puerto Vallarta and Nuevo Vallarta with your furnishings at Villa La Estancia Residences. Remember, you probably come from a cold, dry climate, and we have a different climate in Banderas Bay that is hot and humid for much of the year. There is also a rainy season that starts in mid-June, then continues through October. This season is also a very humid time, so properties here have to have annual maintenance and careful consideration about the kinds of materials you choose for your beach home. 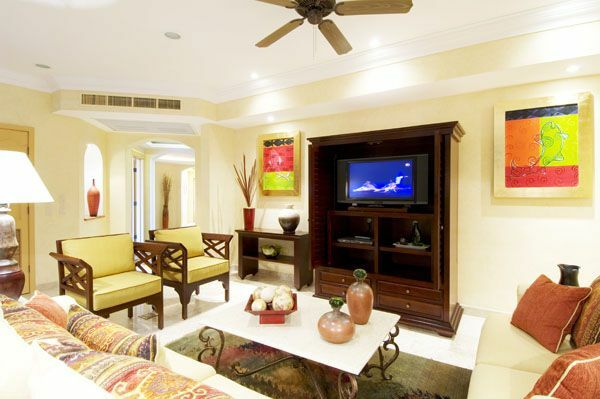 The good news for those purchasing a property at Villa La Estancia is that you can purchase a furniture package that is designed especially for your property and you can be sure that the essential maintenance that is required in humid climates is met by your maintenance fees. Nevertheless, here are some tips if you are thinking about decorating your property at Villa La Estancia yourself that will come in very handy. Invest in an Interior Designer: Investing in an interior designer is a great idea, especially when you consider just how luxurious your second home is at one of the topic hotels in Riviera Nayarit. Start by interviewing several designers, then compare their rates, and always check their references. You have to have a good working relationship with your designer, so make sure you like and get along with them. Consider it a marriage; you have to have great chemistry with your designer. Negotiate all quotes, and stay within your budget. There are so many companies to choose from, that you will have good grounds for negotiation. Do the Work Yourself: It is always more affordable and fun if you can do the shopping yourself. Take a week or two off and check out all the shops in Puerto Vallarta; you will surely find items to meet your style in the many new stores in Bay of Banderas. Then go on a ride to Guadalajara where you will be amazed at the numerous options of shops. Outside the city is Tonala, where you can purchase many items directly from the creator at superb prices. Interiors for Rental Market: Are you planning on putting your property on the rental market? If you are, then you better be careful. This is why you will need an interior decorator’s skills. The interior decorator will know the exact type of fabrics to choose from along with linens and draperies. These type of items must handle traffic, children, and sunlight. Corrosion Protection: Metal corrosion will occur if you have any metal furniture or metal on your window treatments. Corrosion is a common problem in the tropics, and having WD40 on hand is important. Tropical Wood Furniture: Wooden furniture always looks amazing in properties, but they also attract termites, which can be a common problem in humid climates. If you use this type of furnishings, then make sure you have the place fumigated regularly or opt for tropical woods that have better resistance to damaging insects. Modern Plastic Furniture: Modern plastic furniture looks amazing in the modern skyscraper units, but they also have to be taken care of. They can’t be put in the direct sun, because they can fade and melt, then they also leave an unpleasant scent when this occurs. Use Less At First: Use less furnishings at first with your new property. There is no reason that you have to furnish the entire property at once. Add bright, vibrant colors and just a few pieces to start out with. When you meet new friends, then ask them for decorating ideas, and you can get ideas when you visit their homes. This is the best way to flatter a new friend when you use a part of their décor in your own property.